Whoever believes in not playing with your food should not eat at our house. Check out what stacking, balancing, and STEM concepts we learned with pizza!! At first he was super excited to have two pizza pieces stack up. 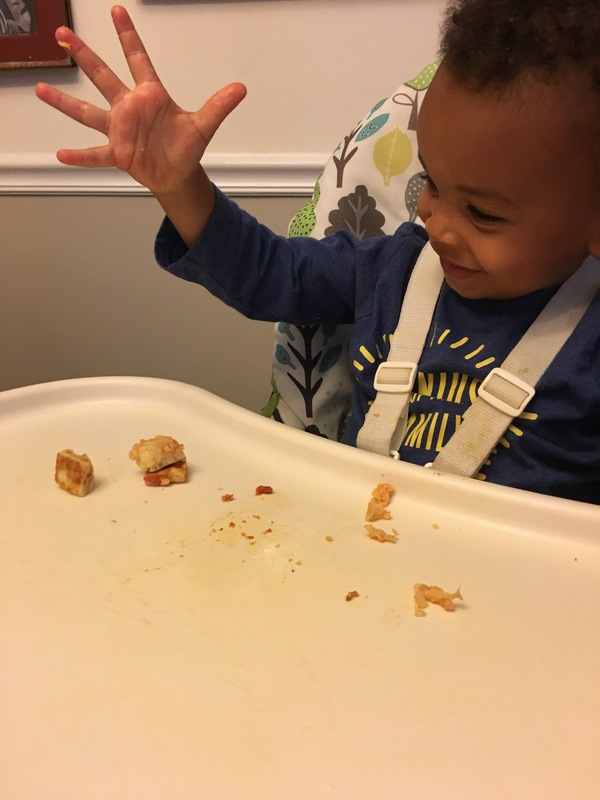 Then he tried three pieces. Fell over. Tried again. Fell over. You get the idea. What I could see him doing each time he picked up the pizza was trying something new. He tried dropping the piece from a lower height or gently placed the piece right onto the the stack. He tried moving the piece a little to the left and to the right. What impressed me the most was his determination to get this pizza stack to happen! He kept trying different methods until something worked. Through experimentation, testing, revising, and retesting he used more of the scientific method at dinner than I used all throughout high school! But the most important part of this yummy story was the photo above: he was so proud of his final accomplishment! 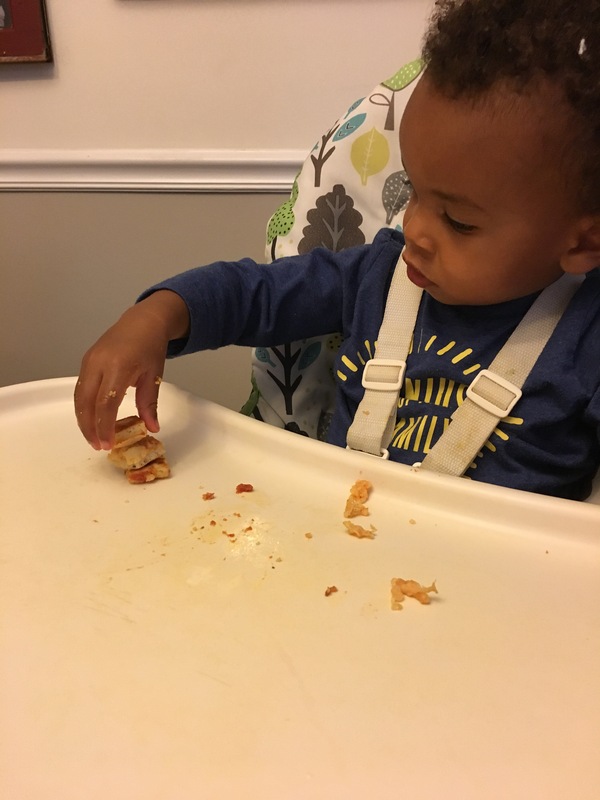 I know working through the frustration of having that third piece of pizza fall off so many times lead to his extreme excitement when the pizza finally stacked. 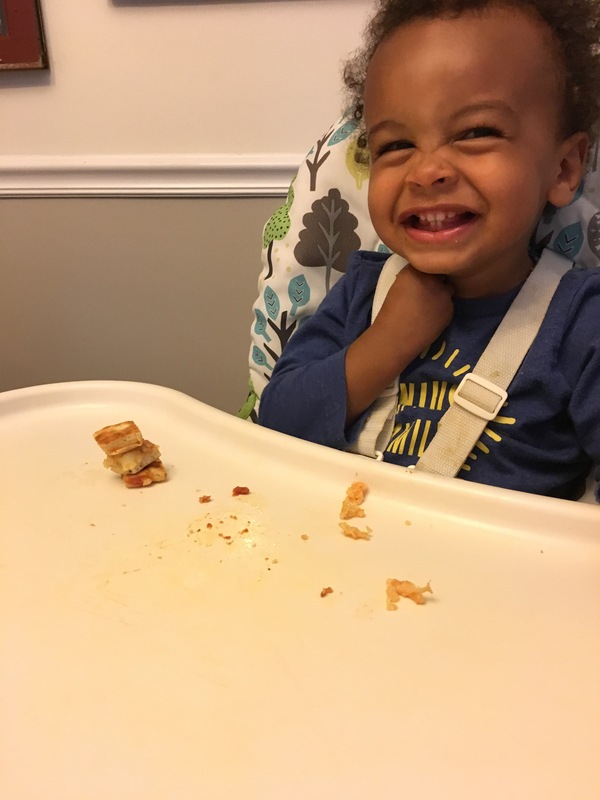 Yes I could have done this for him to show how to stack the food or even told him to just eat the pizza, but giving him the time and space to finish his edible experiment gave him much more joy than I could have ever given him. Make time for your little one’s discoveries, no matter how small or delicious they may be!